You've got a shiny new vape mod headed your way, but have you picked out all of the accessories you need to dress it up? Now's your chance to enhance your mods with quality accessories from your favorite brands. 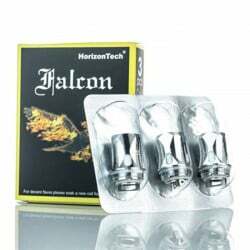 The accessories category covers a wide range of important products for any enjoyable vaping experience. This includes new mouthpieces and drip tips, extra 18650 vape batteries, replacement coils, and protective covers for your device. You will also find spare unicorn bottles for carrying your e-liquid, and cleaning kits to help you maintain your devices. Whatever you need to keep your device powered up, you will find it here at DIRECTVAPOR. As always, we have a collection of great accessories brought to you by the same brands that you turn to for all your vaping needs. This includes big names like Eleaf, Joyetech, Kanger, and SMOK. We also have some products of our very own under the DIRECTVAPOR brand. If you're looking for accessories from one of the popular, independent brands, you'll find that here too. We have accessories from GeekVape, Uwell, and Coil Master among others. While your vape starter kit may have come with the basics to get you going, the truth is that the best vaping experience comes from the right vaporizer accessories. 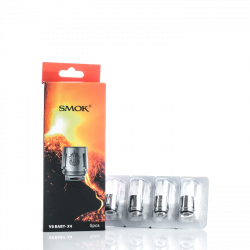 As you shop for products to go with your very first vape kit, make sure that you also pick up spare coils and wicks which you will need to replace weekly or bi-weekly. 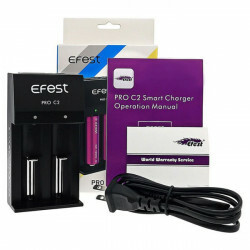 You will want to pick up a spare set of batteries and a quality charger as well. If you're just now transitioning from smoking to vaping, nothing will be worse than realizing that you forgot to charge your battery and you have no way to get your nicotine fix. Keeping a spare battery on a charging rotation eliminates the chances of this happening. The drip tip you choose can have a huge impact on the flow of your device. Try out several different tip options to find one that is comfortable for you. Different tips can also transfer heat at different rates so you may want to buy extras if you feel like your vape is getting too hot. Go ahead and pick up a few unicorn bottles while you're here. These containers make it significantly easier to transport your liquid and refill your tank on the go. Plus they give you the ability to mix your own liquid combinations as you experiment. Not everyone chooses to use a carrying case or protective sleeve, but it can go a long way toward keeping your device safe if you drop it in water or on the ground. Keep in mind that your vaporizer is an investment worth protecting if you plan on vaping long term. 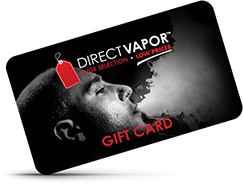 Vaporizer accessories genuinely define how you will experience vaping for yourself. These accessories from DIRECTVAPOR are part of our No Clone Zone, so you always get authentic products from trusted brands. You'll get accessories at the lowest price possible, and you will get free shipping, even on small orders of coils. You can also set up coil shipments on Auto-Ship so they will be delivered monthly to your door with a discount!